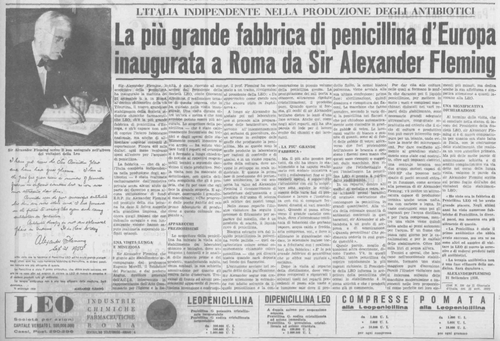 List of Countries » Italy » Rome and its Province » Old "Fabbrica di penicillina LEO"
The "Fabbrica di penicillina LEO" in Rome (Via Tiburtina, at km 10) was the main European supplier of penicillin during the post-World War II period.1 The factory was property of the Italian entrepreneur Giovanni Armenise and was inaugurated on the 21st October 1950 in presence of Sir Alexander Fleming. 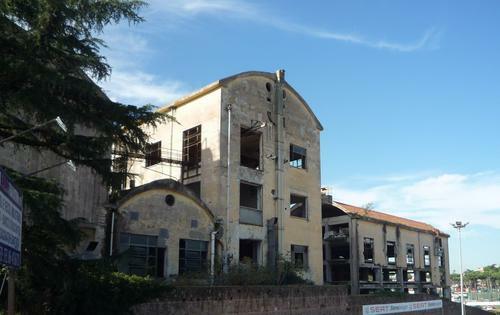 Since Armenise's death in 1953, the factory went through a slow decline until it was completely abandoned in 2006.2 Nowadays all that is left of the production plant are some ruins of the main building. 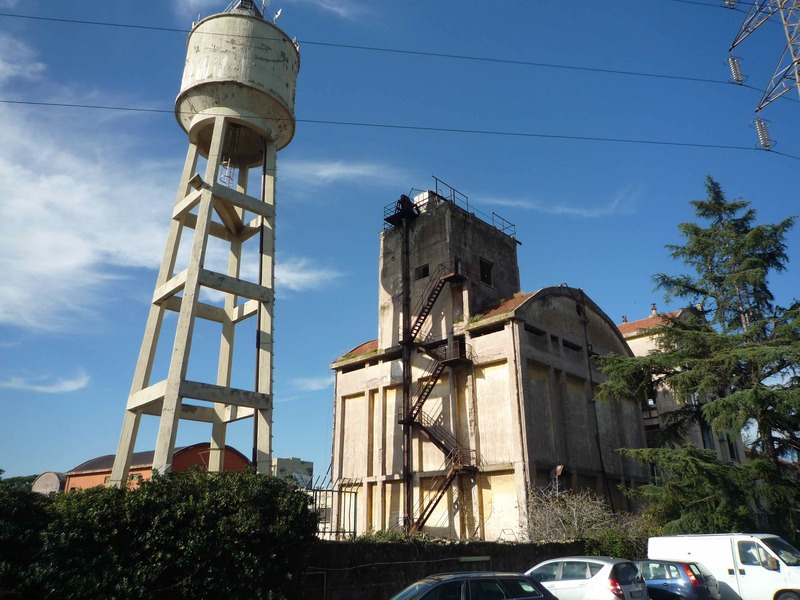 Ruins of the abandoned factory. 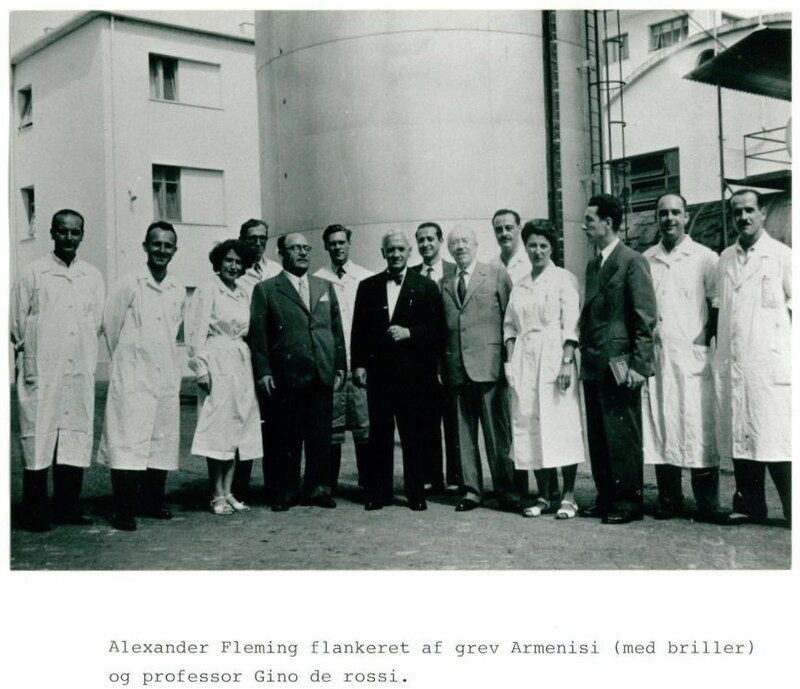 Fleming wrote this on the signature book of the penicillin factory “I have just seen the Leo penicillin factory and have had great pleasure. I have in the past few years seen a number of penicillin factories in different countries but no other was more attractive than this. Penicillin was the first succesful antibiotic but there are now others and I look forward in the future to visiting LEO again and seeing antibiotics in production. Antibiotic therapy is not an ephemeral phase of medicine. It is here to stay. Alexander Fleming 21st September 1950"
Alexander Fleming and Giovanni Armenise at the inauguration of the factory. 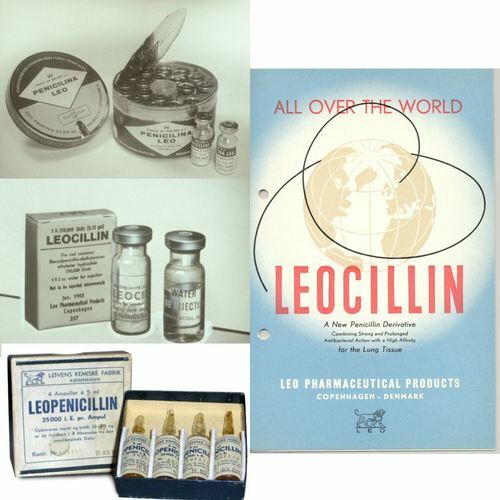 Boxes of Leopenicillin which became widespread all across Italy. 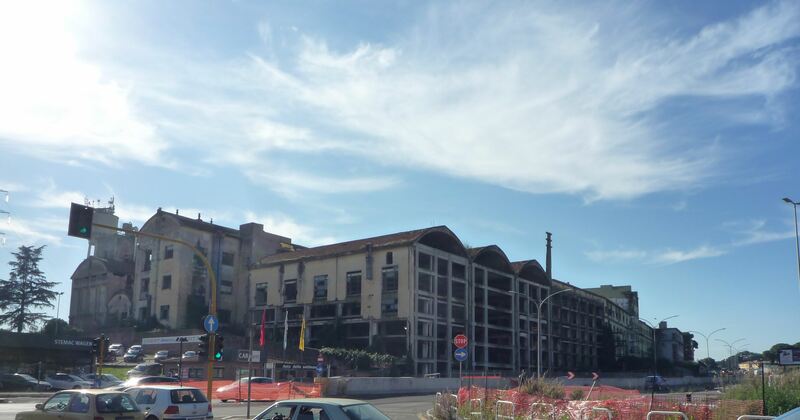 Photos (1-2-3) and Main text by Joshua Bemporad ti.supmacla|daropmeb.auhsoj#| and Luca Rinaldi ti.supmacla|idlanir.acul#| (December 2018). 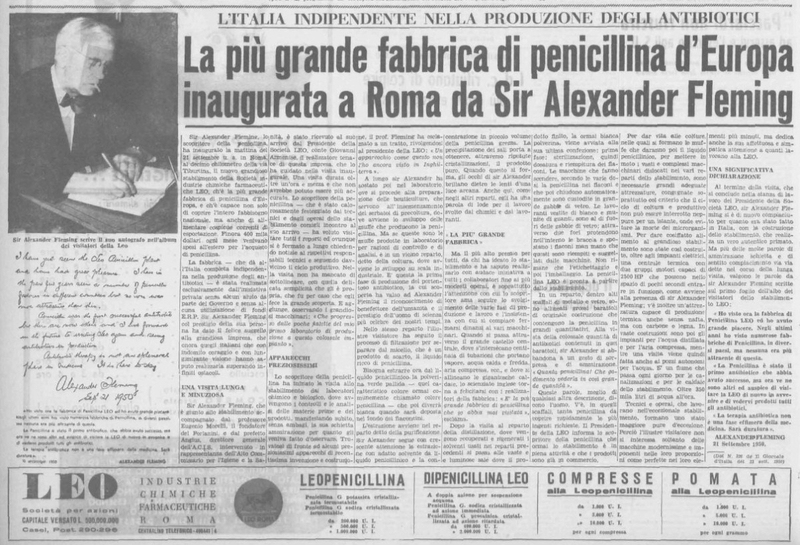 D. Chierchini, G. Coscino, M. Keffer, D. Morandini, "Tra i ruderi dell'industria italiana. ", La Repubblica - Le Inchieste, July 2014. "LEO Farmaceutica. ", Lostitaly, July 2015. Andrea Turchi, "Penicillina a San Basilio: una storia della chimica italiana. ", Altronovecento, n.31, March 2017. 1. Chierchini et al., 2014.